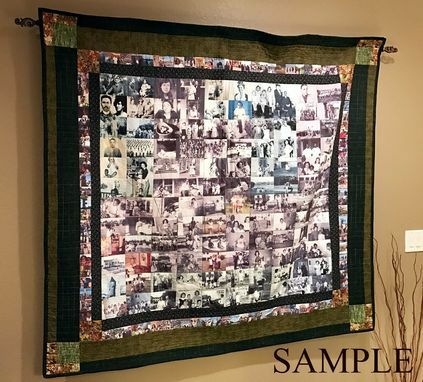 The photo quilts shown are examples only, the quilts made for you are all custom and the look or layout the the quilts will be approved by you, using your own photographs. 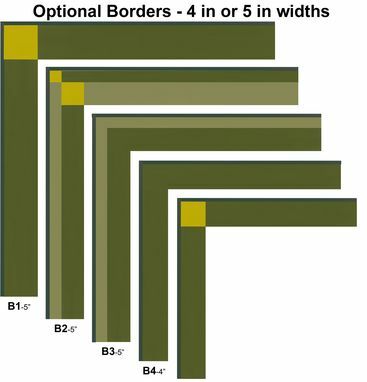 Photo quilts with or without border can have up to 54 4x6 inch images. 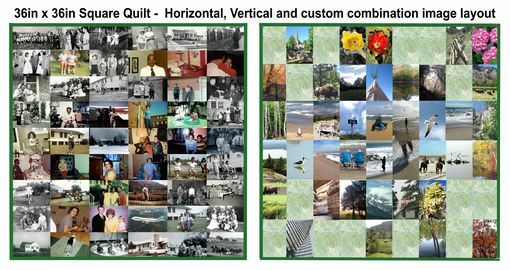 4x6 inch is the standard image size used in photo quilts made by Art Quilts of Nevada. The quilt is made with 100% cotton materials and cotton or cotton/poly blend threads. The quilt is assembled by hand and machine quilted by me. Washing: Machine wash using cold - cool wash settings with delicate detergent (i.e. Woolite). Tumble dry low or dry flat. 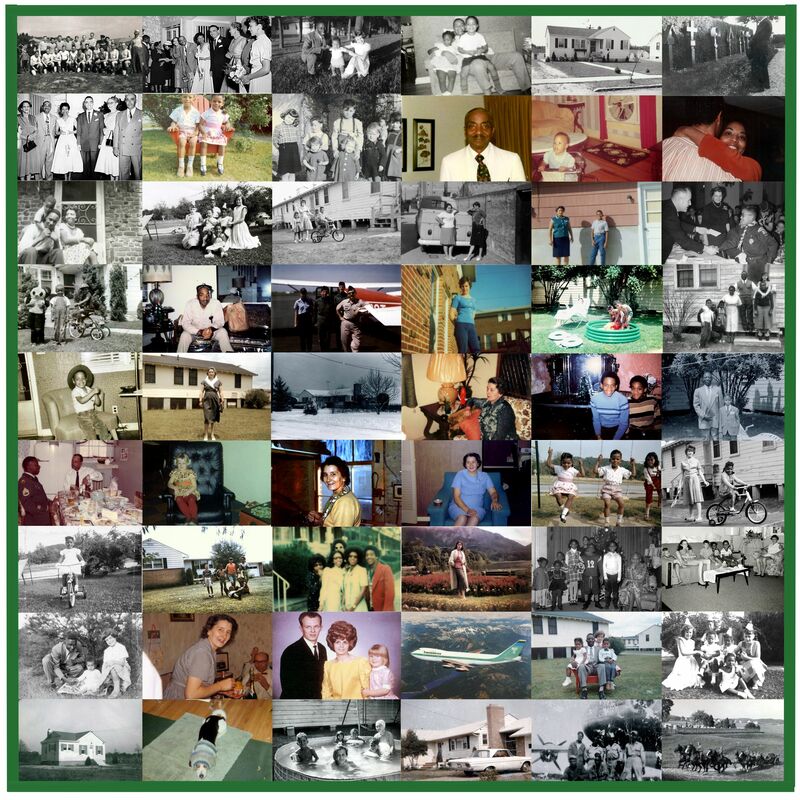 Images sized from 3x3 inch to 8x8 inch can be used in custom layouts. 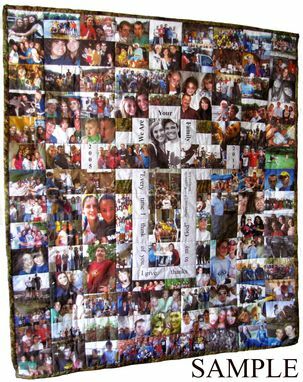 In custom layouts, the image sizes can be mixed and the number of images in the quilt will depend on the sizes used. If you would like to order a custom layout, email me and let me know what size quilt you would like to have. I will then contact you to ask you what specific requirements you may want in your quilt. 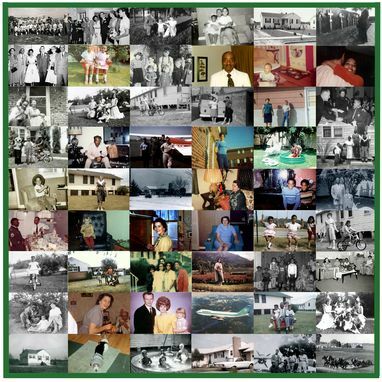 I will prepare a design using your photos at no cost to you and when you have approved the layout, I will send you a invoice for a 50% initial payment and the balance will be due and when the quilt is finished and you have approved the emailed images of the completed quilt. The quilt will then sent to you via USPS Priority Mail, tracked and insured. Every maker has a story. 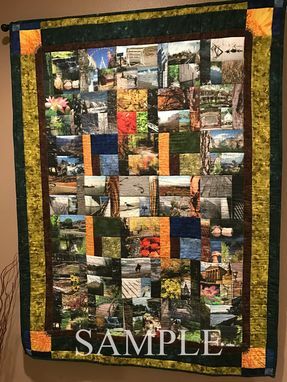 Be a part of Art Quilts of Nevada's story by placing an order, leaving a review, and seeing your review appear here.